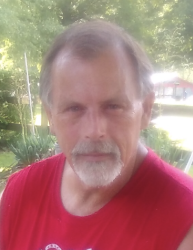 Narl Wayne Gish, Jr., 55, passed away on Tuesday, March 26, 2019 in Evansville. He was born December 28, 1963 in Evansville to parents, Narl Wayne Gish, Sr. and Theresa (Legate) Gish. He married Katrina (West) Gish and she preceded him in death on January 13, 2014. He worked in maintenance for AmeriQual Foods and then as a maintenance worker in Evansville. Narl enjoyed a good conversation. He had the gift of gab and never met a stranger. He will be dearly missed by all who knew and loved him. Narl is survived by his son, Neil Gish of Union, father and step-mother, Narl Wayne, Sr. and Laura Gish of Sorento, Illinois; maternal grandmother, Lucille Legate of Evansville; brother, Michael Gish (Ruby) of West Salem, Illinois; half-brothers, Daniel Pollard of Grayville, Illinois and Jason Gish (Billie) of Springfield, Missouri; step-sister, Pam Sidwell (Stacey) of Sorento, Illinois; and step-brothers, Wayne Caniff of Windsor, Illinois and Tim Caniff (Becky) of Greenville, Illinois. He was preceded in death by his mother; wife; infant daughter, Lucinda Dea Gish; and brother, David Gish. A memorial graveside will be held at a later date at Union Community Church Cemetery in Union, Indiana. For those who wish, memorial contributions may be made to Colvin Funeral Home to assist the family with expenses in lieu of flowers. Colvin Funeral Home is honored to serve the Gish family. You may leave a message of sympathy or light a candle in memory of Narl at www.colvinfuneralhome.com.